Please consult your local building inspector or codes prior to using Air Handling rated cable ties in colors other than red/burgundy. 4.2 Air Handling Spaces – Ducts or plenums used for environmental air and other spaces used for environmental air, such as above hung ceilings or below raised floors. This does not include plenums used for the removal of dust, loose stock, or vapor, or for ventilation of commercial-type cooking equipment. Note: Information Source: UL 62275 and CSA C22.2. 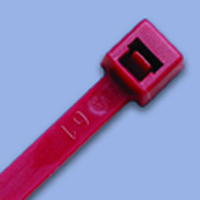 UL and CSA are not affiliated with and do not endorse Advanced Cable Ties, Inc.